Tra fish export value is forecast to exceed 2 billion USD this year, surpassing the industry’s target, according to experts. Export value of this product in the first nine months of the year has seen an year-on-year increase of 24 percent to USD 1.6 billion, reports the Vietnam Association of Seafood Exporters and Producers (VASEP). Meanwhile, General Secretary of VASEP Truong Dinh Hoe forecasts Tra fish exports will continue to rise in the last months of this year so total export value will reach USD 2.1 billion, up 22 percent compared to 2017. Hoe was quoted by the Industry&Trade News as saying that from late September to now, the price for raw material of tra fish in the Mekong River delta has stood at VND 35,000-36,000 (USD 1.5-1.55) per kilo. With that price, farmers earn from VND 6,000 to VND 9,000 per kilo. Nguyen Thi Anh, Director of the Song Tien Seafood Company (SOTICO), shared the view with VASEP General Secretary that there is a lack of raw material of tra fish for export processing by the end of this year. Therefore, her company has not signed more export contracts for tra fish products with foreign partners. 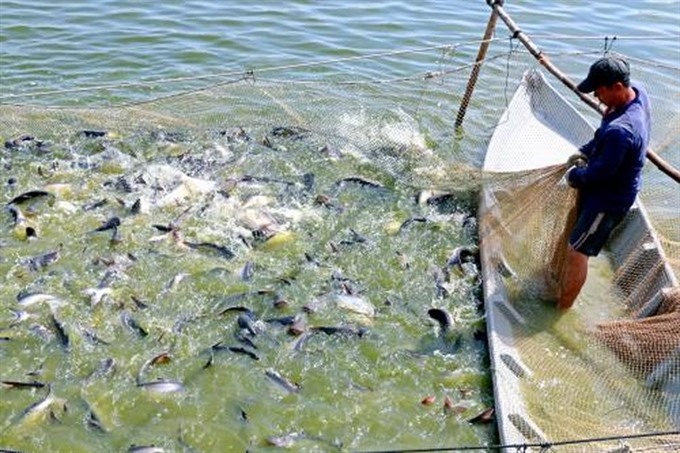 "There is not enough high quality fingerling of tra in the market, making increase in price of fingerling and affecting supply of export tra fish in the last months of this year," Anh said. Experts said one solution would be localities re-planning their production entirely. They should strengthen application of science and technology, diversify export products and markets, and give priority for value added products. More than 4 millions of people working in the fishery and the growth in production have attributed to the fish exports. Thanks to strongly increase in many years, Vietnam ranks among the top ten seafood suppliers and its seafood products are exported to 170 markets in the world./.